*UPDATE* Thanks so much for ordering everyone. We are sold out for the year. Happy Valentine’s Day! Remember the excitement of getting a Valentine’s candy gram in high school? Well, it’s back! 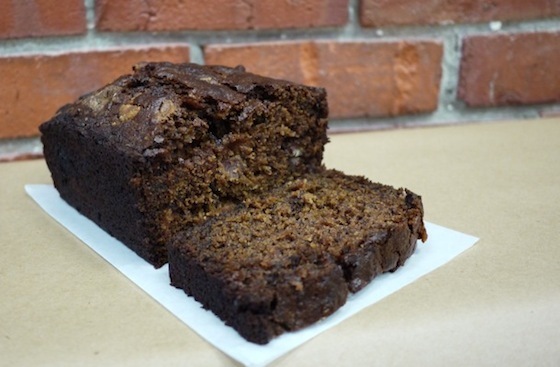 For all you true Cupids out there, Save On Meats and To Die For Fine Foods are offering Vancouverites the chance to surprise their lovers or crushes with a special delivery of Bacon Banana Bread and a sweet personalized message, to be read aloud if you choose! Who? Nico Brand, Erin Ireland, & their team of cupids. How? A decked out red and white MINI Cooper from MINI Yaletown. Where? Downtown, Yaletown, Gastown (if you are just outside these areas, we’ll make exceptions). When? Between 10am – 3pm (unless otherwise discussed). BBB will be available for purchase at Save On Meats beginning February 10, 2012. Medium loaves ($10) will be sold at the butcher shop. Large loaves ($15) will also be sold at the butcher shop. Slices (two for $5) will be sold in the diner. BBB is made with candied double smoked Save On Meats bacon, organic bananas, and Callebaut Chocolate.